DC extension cord for mini jack cords. Suitable for CYRON SCP products. 4ft 1.5A max. 6VDC - 24VDC. 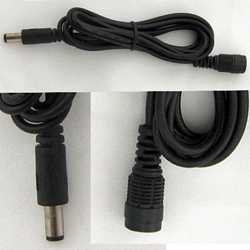 Can be used in conjunction with CON-Y2 and CON-Y3 "Y" connectors to creat custom DC power connections.